All About Sports Cards: Do we Dare To Tear? 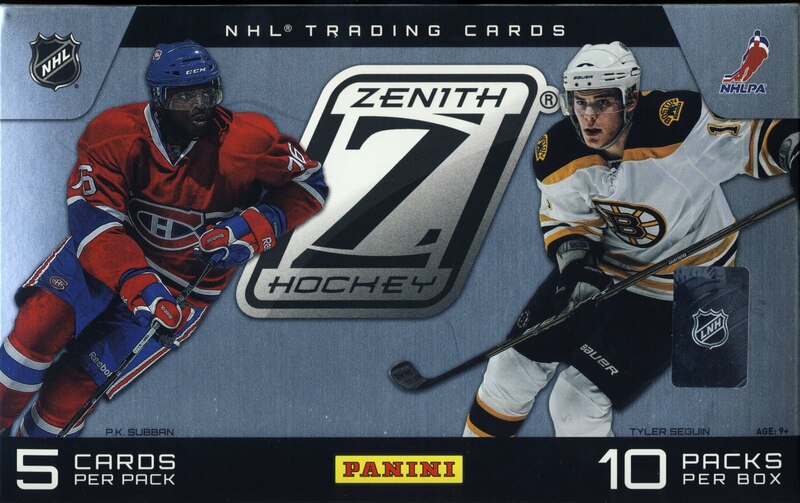 Help us decide what to do with our 2010 11 Panini Zenith Hockey Box Topper. Do we Dare To Tear? Help us decide what to do with our 2010 11 Panini Zenith Hockey Box Topper. We've told you about Panini's Hat Trick of Hockey releases. 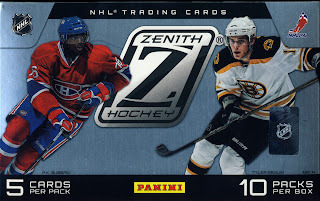 Number two in the series is here, 2010-11 Panini Zenith Hockey. One of the really fun aspects of this box is a 5 X 7 Box Topper card, the return of Dare To Tear. Here is what we pulled. It's big... no? To give you an idea of just how big this card is, here is a size comparison with the base cards. 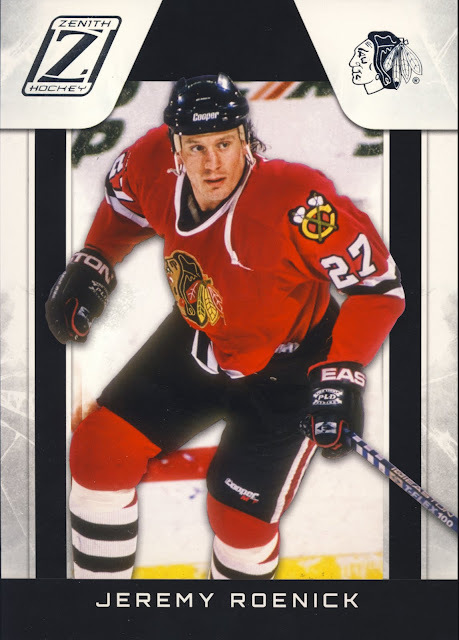 So inside this Jeremy Roenick Dare To Tear card is another regular size card that you won't find anywhere else. It could be an Epix card, a Donruss Elite Rookie card or a National Treasure card. 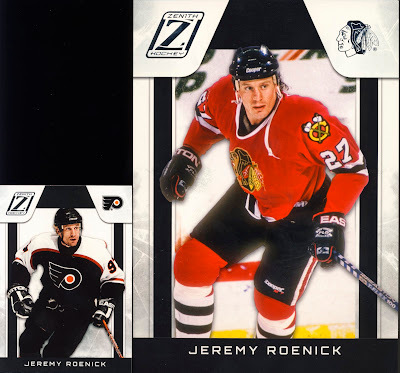 But to get to the card you have to tear into the Roenick. To tear or not? We are going to let you decide. Use the poll to vote and then use the comments to tell us what you would do and why. We will leave this open for a few days to let everyone cast their vote. Then we will reveal the rest of the box break along with the results of the rip if we are dared by enough of you. UPDATE- Poll is closed. Here are the final results. Forget the double dod dare, I triple dog dare you to rip that card. You know you want to see whats inside, we all do so rip that sucker open. You basically have to open it because the box toppers are going to get less than $10 bucks on the open market. If you open it, there could be "bank" in there. Or you could end up like me...I had a Mark Messier box topper, ripped it, and out popped a Milan Hejduk Epix insert. Not even an autographed or GU one at that, either. So I guess you roll the dice. I'd still tear it though.